UPDATED – VATICAN CITY (CNS) — Pope Francis appealed to the government of Pakistan to take steps to ensure the safety of the country’s Christians and other minorities the day after a terrorist bombing killed at least 70 people and injured more than 300 who were spending Easter afternoon in a public park. 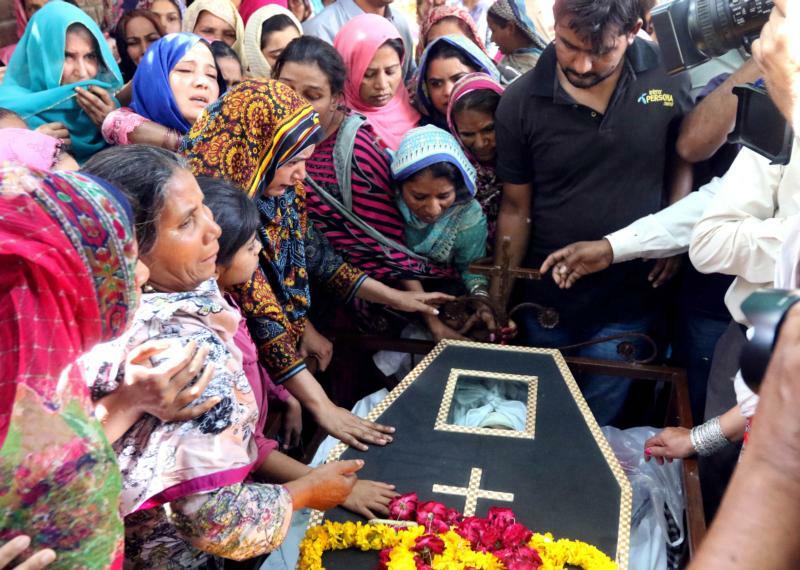 After reciting the “Regina Coeli” prayer with pilgrims gathered in St. Peter’s Square March 28, the pope condemned the Lahore attack as a “cowardly and senseless crime.” Jamaat-ul-Ahrar, a splinter group of the Taliban, said it carried out the attack and specifically targeted Christians celebrating Easter. “Violence and homicidal hatred lead only to pain and destruction; respect and brotherhood are the only paths that lead to peace,” he said. In his main address, and again after leading the “Regina Coeli” prayer, the pope spoke about the importance of making a real effort to live with the hope the Resurrection should bring. “Life has vanquished death. Mercy and love have vanquished sin,” the pope said. “We know that faith and hope are a gift of God and we must ask for it: ‘Lord, give me faith, give me hope. We need it so much,'” he said. Later the same day, Archbishop Joseph E. Kurtz of Louisville, Kentucky, president of the U.S. Conference of Catholic Bishops, expressed “tremendous sorrow” about the attacks.